Introducing an entirely NEW pet bathing experience. 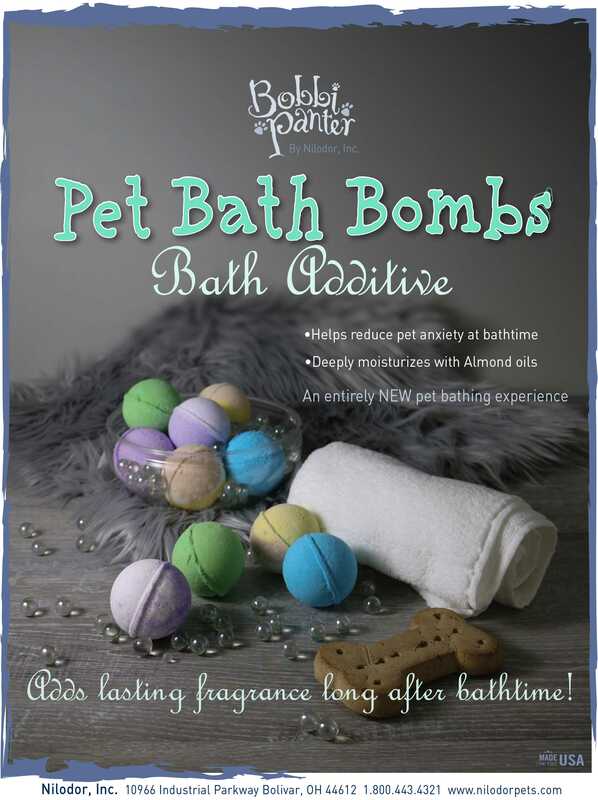 Our Pet Bath Bombs helps reduce pet anxiety at bathtime and deeply moisturize with Almond oils. Bobbi Panter Bath Bombs add lasting fragrance long after bathtime! 4 different kinds available (Calming, Moisturizing, Detoxing, and Moisturizing). Sold in cases of 12. Applications: Bathtime Use: Fill tub with 3-4” of warm water. Drop in bath bomb. Place pet in standing water. Once dissolved, use cup to pour over entire coat ending with pet’s head. Use caution when pouring over head and protect eyes. Use Bob-bi Panter Shampoo & bathe as normal. Rinse with bath bomb water. Drain water then rinse completely with fresh water. Towel dry.